Life without cars… or maybe a boat? 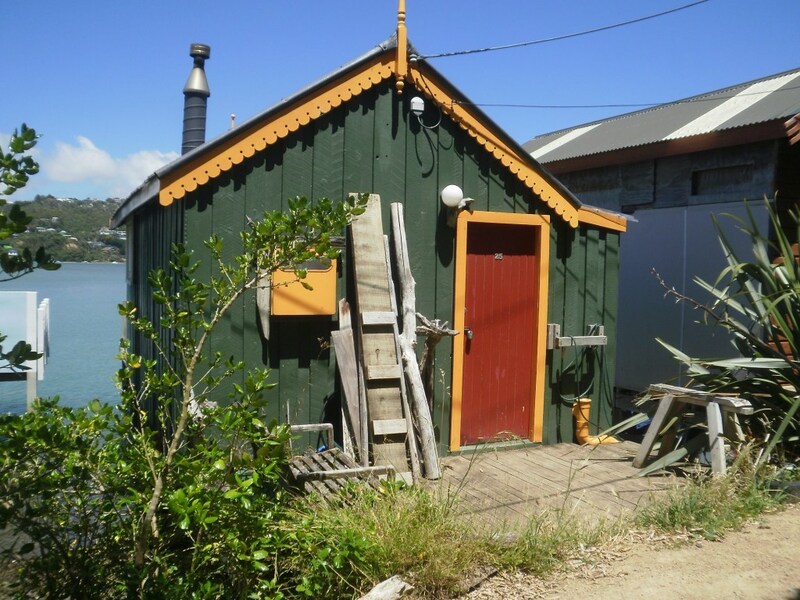 I came across an interesting area of buildings lately courtesy of Max’s recent post on boatsheds, so this is really an expansion of that post. 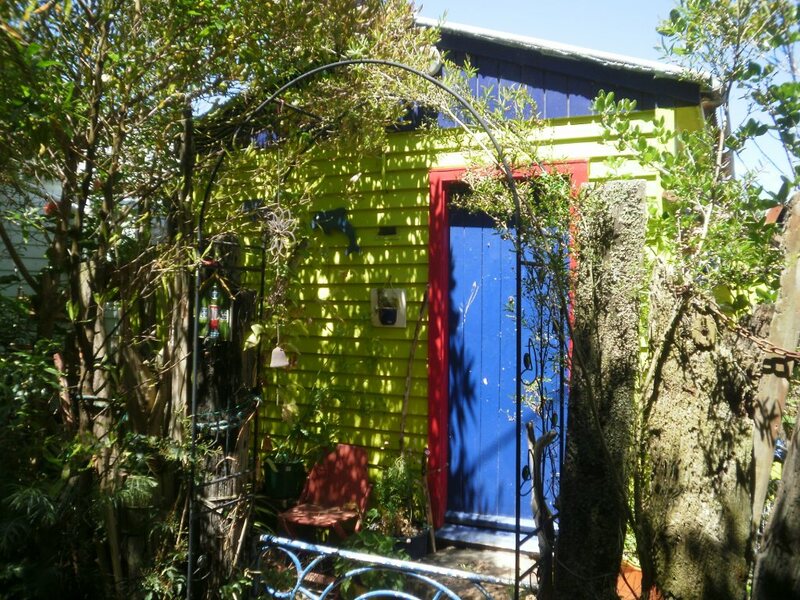 Recently I went to the shore of Pauatahanui Inlet in the suburb of Camborne to find what I think are some architectural gems for a variety of unexpected reasons. Access to this area is a little unconventional.. either by a narrow walking track beside the inlet or by boat, so one of the immediate things you notice is the complete absence of cars – and it was so refreshing. 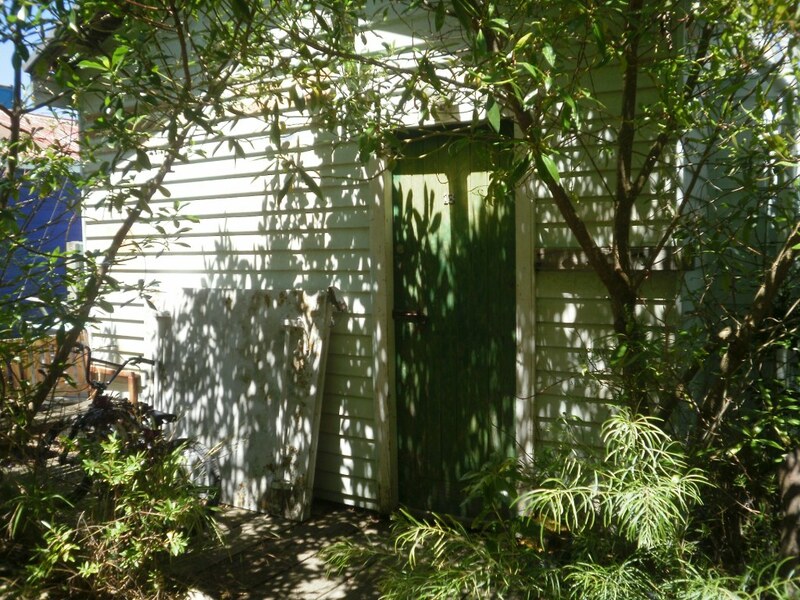 You could almost interact with the boatsheds/houses – they were that close. There was no barrier between you and it (like a driveway or someone’s toyota). 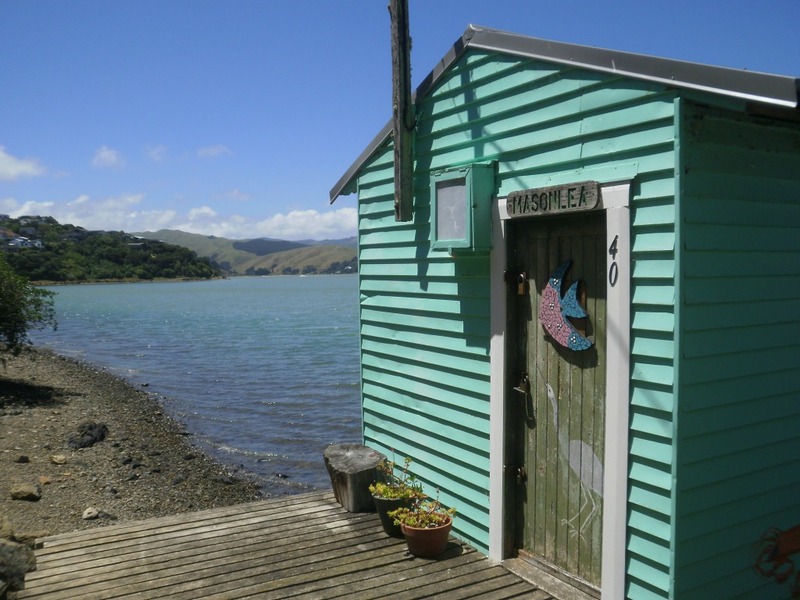 Another striking thing about these boatsheds is that they all have slightly different bright, interesting personalities. There’s no rampant commercialism on show here, neither is there a glass balustrade or faux cladding in sight that you’d expect to see on most modern properties with a sea view. As you walk along, almost every corner has a new surprise, a vibrant new colour, a new assortment of maritime paraphernalia or a different animal mascot. 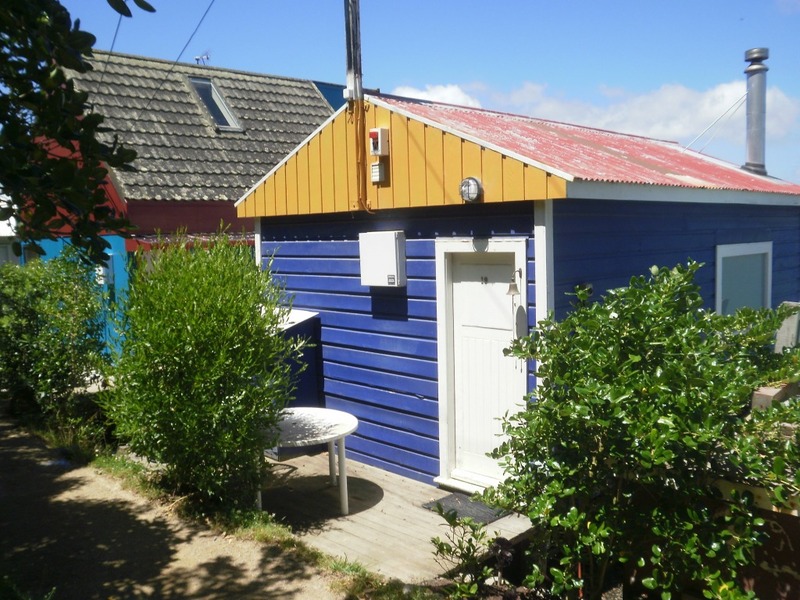 But to me anyway none of this seems out of place, the more wacky the boat shed the better it fits in amongst the others. Throughout these buildings there was a huge display of colour, quirkyness and anti-establishment and I loved it. If I had the choice of designing one of these sheds or a soulless mansion further up the hill, give me one of these any day. Some structures meld into their surroundings and look as if they’ve almost always been there, and might even transport you into a different world. There’s something else going on here too. Inside the boat houses are very private areas, because you get no glimpse of what may be inside from the walking track. But in the porch area in front of each boathouse is a private outdoor space that feels like it should be a place for the public. You almost want to take a seat outside someone’s abode because it feels like you’re being invited to and its within arm’s reach. What I think it creates is a sense of community, and I got the impression that this is a friendly place to be. 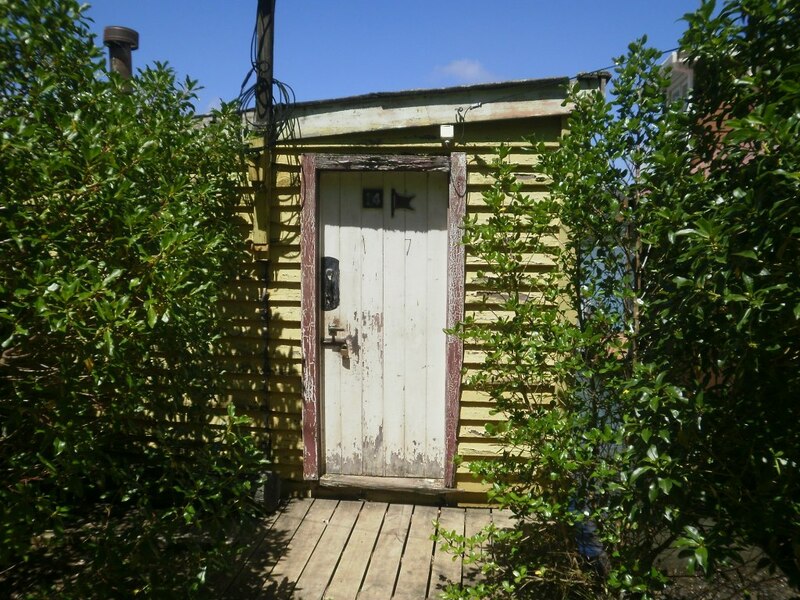 If there was an owner outside their shed I feel like you would want to interact with them, the environment is just so inviting for communication and because of the close proximity you’re almost forced too. This was confirmed to me when a stranger walked past me while I was taking photographs and suggested I take a photo of a blackbird sunning itself on a shed’s front door mat. I did see the bird but managed to scare it away, so maybe not all the locals are friendly. • Cars are annoying, they take up too much space and strangle the life out of any areas with people in them. • How many if any of these buildings were designed/built by architects? Yet it probably provides one of the better built environments in Porirua… one of the more intriguing at least. • When do structures become “part” of a place? I can imagine when many of these sheds were first built they looked completely foreign to that landscape. Is it just a matter of the passing of time for buildings to form their own personality or familiarity, so they become part of the identity of a place? A nice example of what happens when you have buildings ‘addressing’ the public domain (in this case the walkway), rather than retreating from and barricading against it (large setbacks, fences, featureless walls, etc). Broadly speaking, the most ‘pleasant’ built environments, whether urban or suburban (e.g. an open porch and small frontyard facing the street), are those that engage the public realm in this manner. Modernists have a lot to answer for in terms of ‘functional’ siting taking precedence above all else. Pleasant individual ‘objects’ to look at and inhabit, but dreadful collective environments. I don’t know that much has changed on the home-building front? Why can’t the cat haz the cheeseburger and eat it too?? What’s the land/water ownership situation on these? Can anyone pop down and build themselves a new hut over the water? Or can you buy a bit of the foreshore from the council, or local Maori, or central government or someone? I’m pretty sure that you can’t do that anymore. My guess is that most of these date from the late 40s when men came back from the war, and built themselves a little spot to get away from it all. 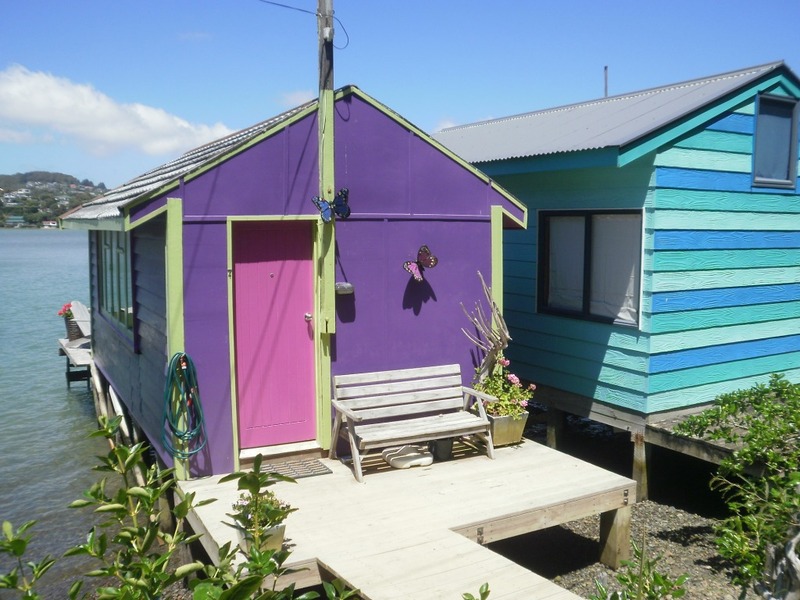 Obviously some places, like Titahi Bay, had organized construction (30 identical units in a row), while these are way more hand-crafted. The RMA would never allow the construction of such things today, in that ‘dangerous’ inter-tidal zone. More’s the pity. You wouldn’t be allowed to live in them now either. 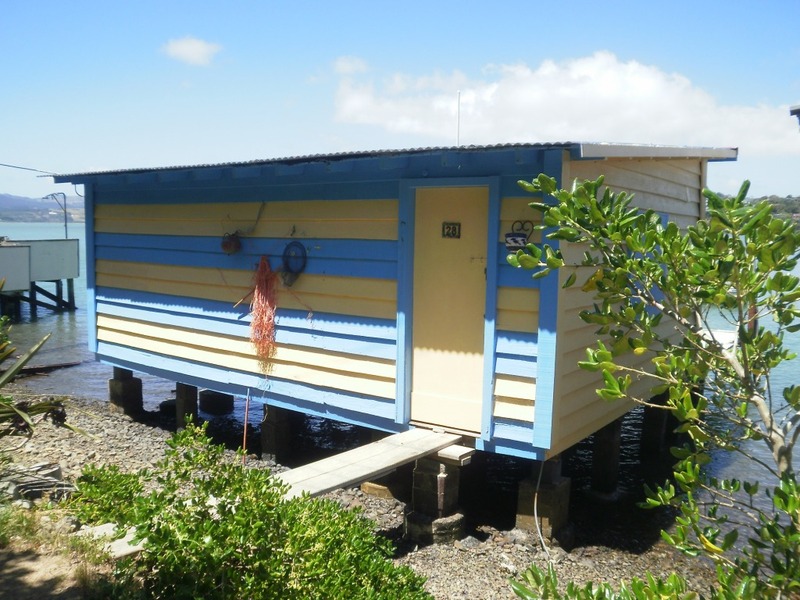 As with Sam Hunt in the “Mana Boatshed” or “baches at bottle creek” (quotes and photos from Sam Hunt’s “Backroads” books.